With exposure times down to 1 µs the Baumer CX cameras including second generation Sony Pregius sensors offer the shortest exposure time in the standard class of digital industrial cameras. 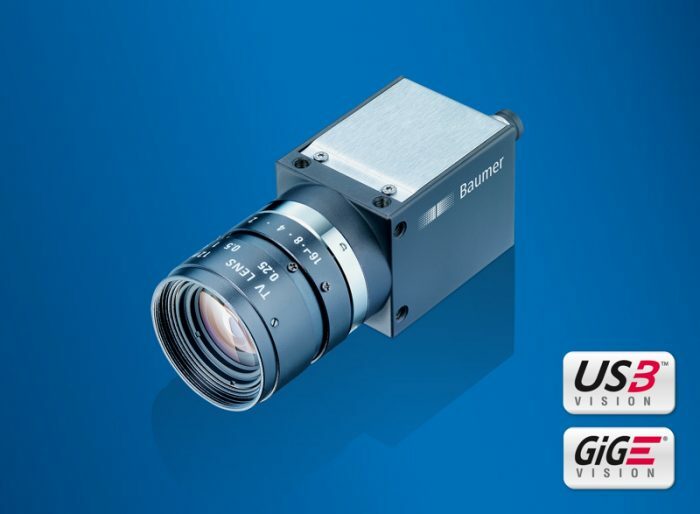 Baumer offers the first CMOS cameras with an exposure time down to 1 µs in the mainstream segment of digital industrial cameras. The CX models including the second generation of Sony Pregius sensors feature exposure times ranging from 1 µs to 60 s. Available with up to 12 megapixel resolution, they are ideal in tasks at high light intensity such as laser welding and will minimize blur in high-speed applications like pick and place. Having extended the application possibilities of CMOS cameras, Baumer has closed a gap where previously CCD sensors were required. Pushing further toward best-in-class in terms of short exposure times, the CX cameras with 29 x 29 mm housing design perform perfectly in hot environments due to their high operating temperature capability of up to 65°C. Additionally, they feature 1000 fps with ROI (Region of Interest) and an excellent dynamic range of 71 dB. As a result of their high resolution merged with excellent image quality, the GigE and USB 3.0 cameras master virtually any task in various industries which place the highest demands on image details and throughput. For more information, please visit http://www.baumer.com.